Global Aerospace’s experienced underwriters and claims professionals have a combination of aviation and insurance experience that is rare in our industry. Because aviation insurance is all we do, our underwriters understand the importance of providing both competitive terms and high quality service to address the immediate needs of our customers. Our rating approach is based on our customers unique operational characteristics and commitment to safety, not merely industry averages. 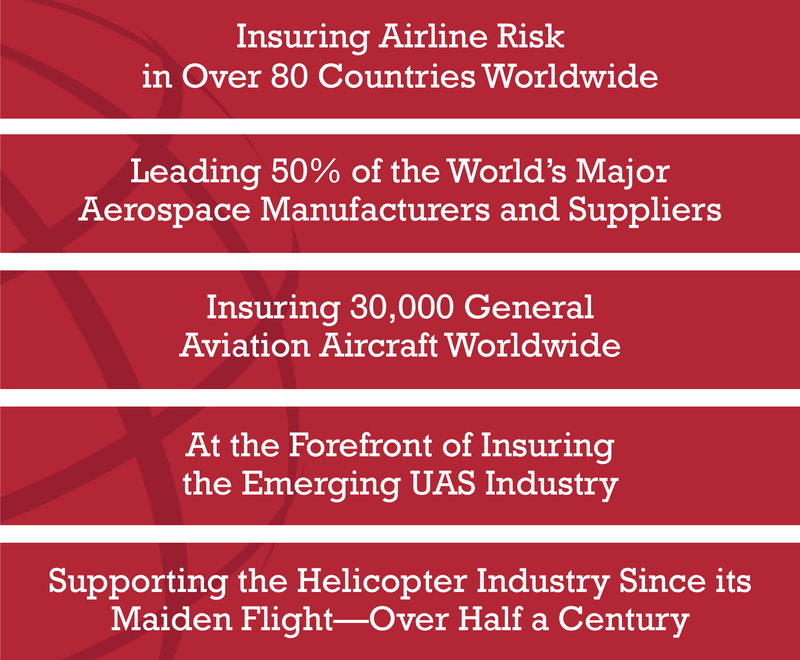 To learn more about our aviation insurance, please contact your local Global Aerospace representative.